Over the course of the past few months, I’ve have seen some new trends begin to develop regarding the terms Boston condo buyers are presenting to sellers. In the current market, some Boston condo buyers developed a defeatist attitude as condos have often been selling above asking price. This is based on the limited supply of Boston condos and the increased demand for them. This has forced me to be more creative in order to help buyers engage sellers and get them in the home that they desire. I’ve have seen situations in which the listing agent has countered the buyers offer with the terms to remove contingencies within the offer. One key item for buyers to know is that their contingencies may be interconnected with the loan approval contingency. If the condominium in question does not appraise, then the buyer has their loan contingency to protect their interest in moving forward with the deal. Buyers are now catching on to this trend and are presenting offers without their appraisal contingency in place out of the gate. These savvy buyers have quickly realized that they still have their loan contingency. In other words, they still have their loan contingency to ensure they are approved and can move forward with the qualification and value of the home. There have been other trends we have helped our buyers within the recent market conditions. Some of these include not “writing in” the buyer’s home warranty into the contract (which is typically paid for by the seller), shortening the investigation contingency period to ten days or less to ensure the removal of this contingency more quickly, and to offer to pay for any additional private transfer tax fee. There are many more in addition to these. 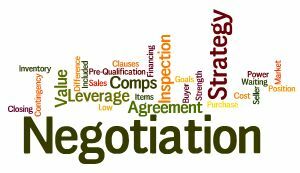 These creative strategies are what I have been utilizing to help buyers win multiple negotiations. Should you have any questions at all and would like to learn more about how to get ahead and in this competitive market please call me a at 617-720-5454.